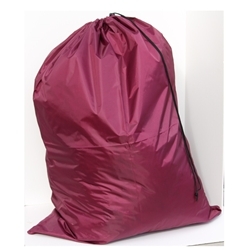 BURGUNDY 30"W x 40"L laundry bag. It is made of heavy weight polyester material and features an easy to use slip lock closure. This is a durable bag and it will work great for commercial institutional or home use.